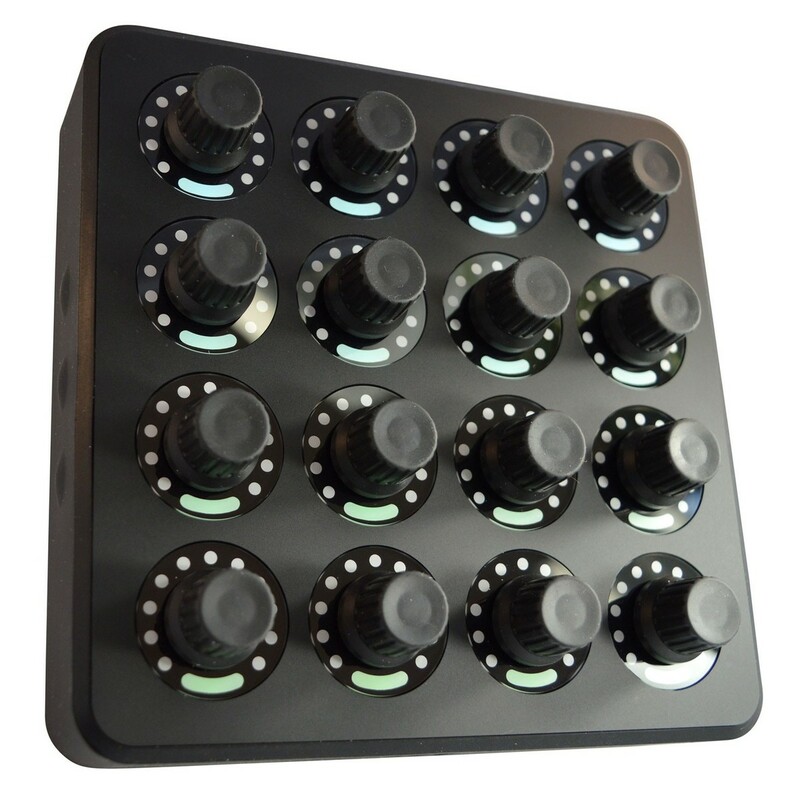 The DJ Tech Tools MIDI Fighter Twister is a unique USB controller featuring 16 high-resolution Chroma Cap encoders and integrated push switches on every knob. 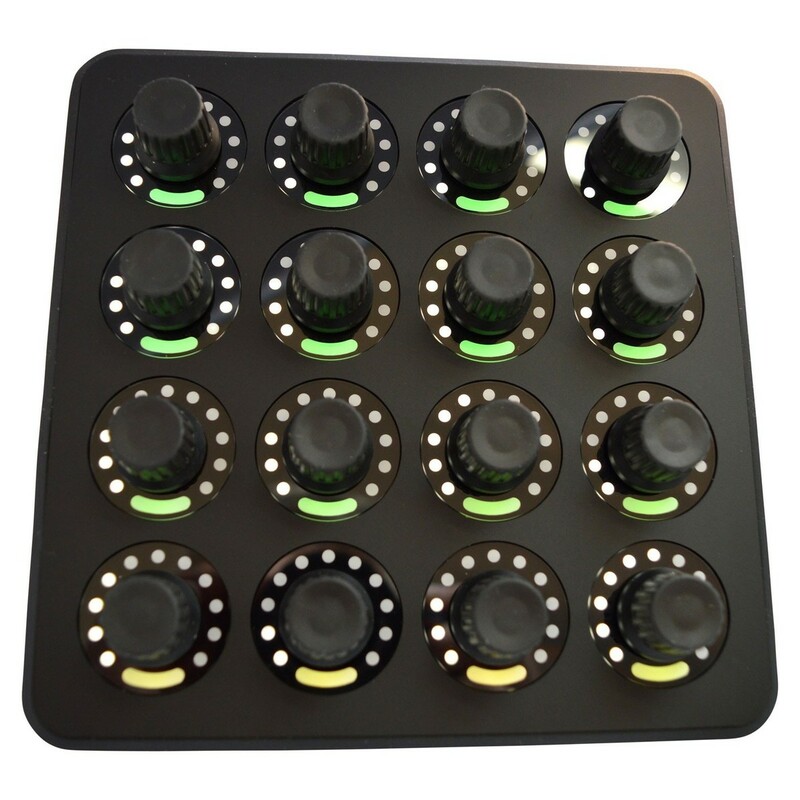 The MIDI Fighter Twister gives you complete control over your parameters featuring four banks of 16 high-resolution encoders. Each encoder features a configurable button that can be customised to control a range of parameters. The compact and USB-powered controller also featured multicoloured LED rings, providing you with clear feedback on the knobs position. Its easy to integrate design and customisable controls make it one of the most unique controllers on the market. 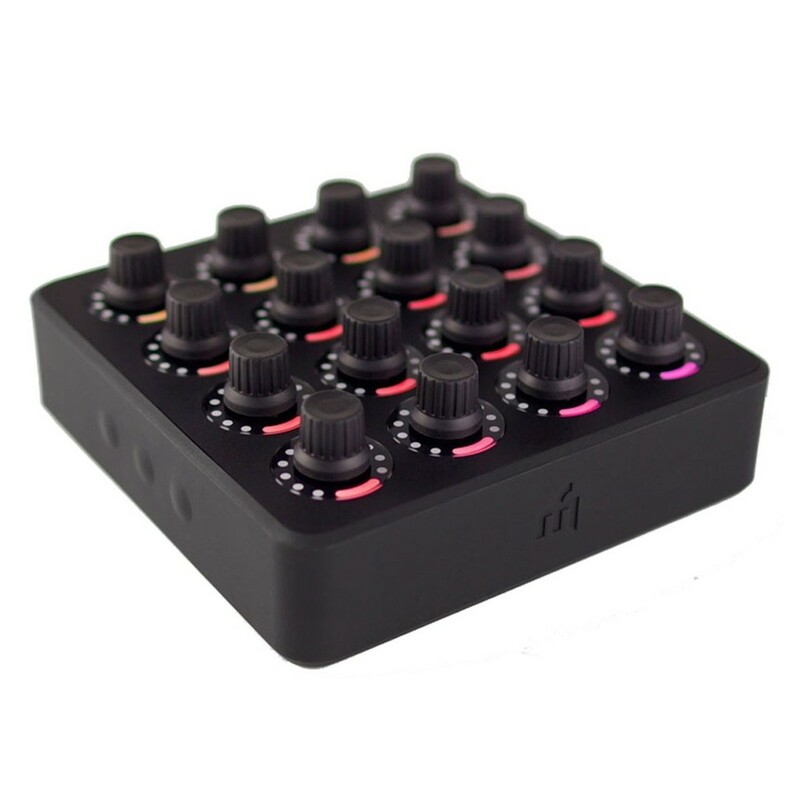 The DJ Tech Tools MIDI Fighter Twister is one of the most unique and seamless controllers available on the market with its portable and compact design and multitude of premium quality components. The controller offers you full control of your parameters with four banks of 16- high-resolution encoders. Each encoders also features a configurable button on every knob, minimising the need for excess space while maximising the functionality. The unit itself is USB-powered, eliminating the need for a separate power supply, increasing its portability. One of the most unique features of the MIDI Fighter Twister is the dynamic LED feedback system. Each encoders features a multi coloured LED ring that provides clear and concise feedback, showing you the knob's position on the fly. 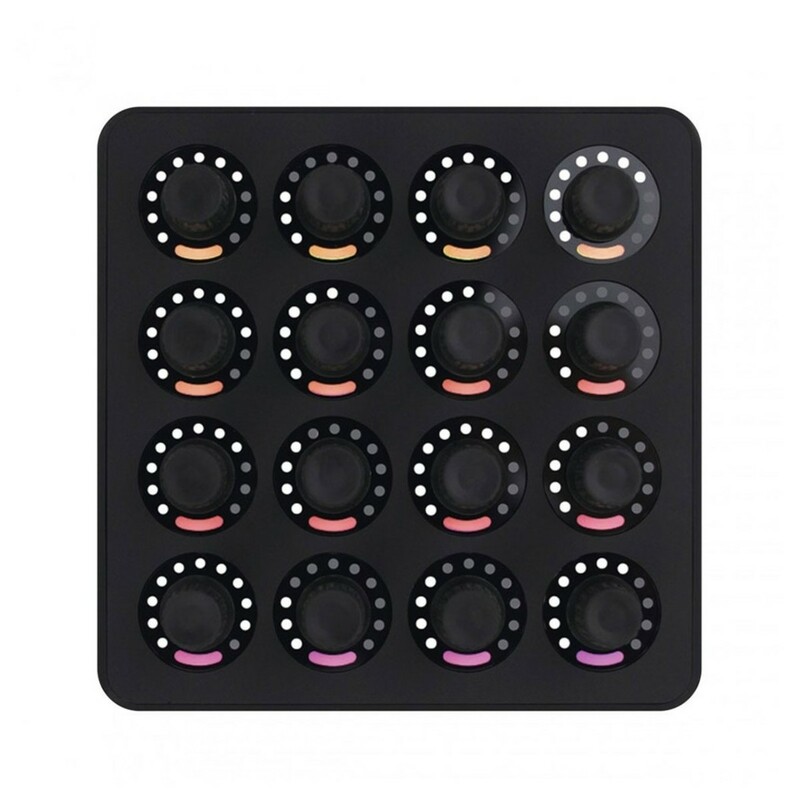 The DJ Tech Tools MIDI Fighter Twister comes complete with the MF Utility software. This software allows you to customise everything on your controller, including LED colours and more. The MIDI Fighter Utility Software can be used for both PC & Mac and use to control, configure and update the firmware. You can also use the software to perform a factory restore on your Midi Fighter Twister if you ever wish to restore the devices original settings. One of the most unique features is the ability to import and export settings, which is useful for sharing device settings between MIDI Fighter users, saving everything from button mapping to colour information. Additionally the software lets you edit a range of settings from the Encoder and the colour of the encoder to editing multiple encoders at once. 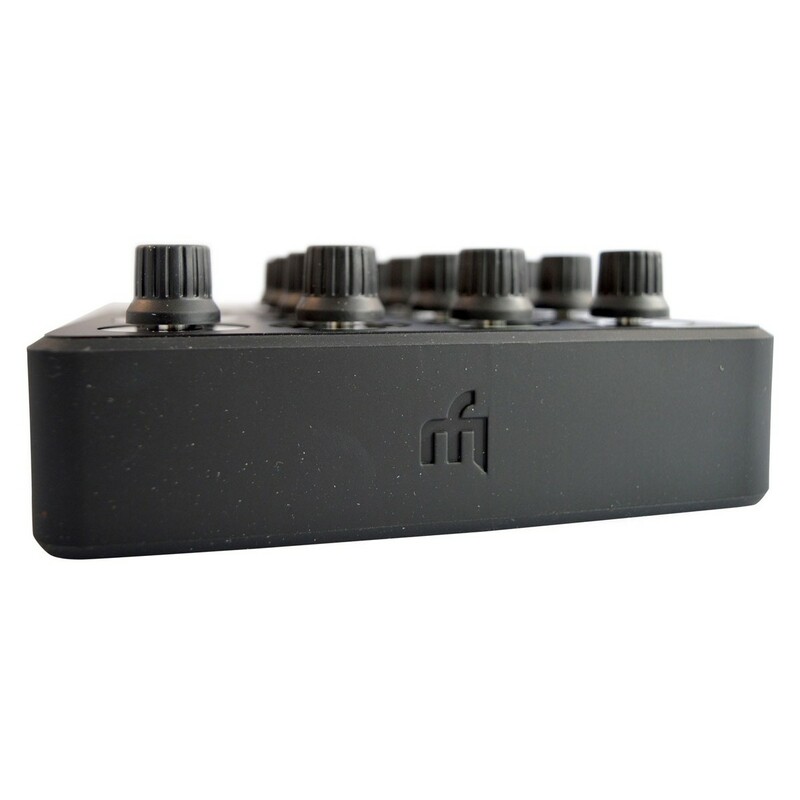 The compact yet robust DJ Tech Tools MIDI Fighter Twister is the ideal companion for any digital musician, giving you the ability to perform entire live performances from this single controller. Its portable size makes it perfect for taking with you anywhere you go, easily sitting in your backpack or with your other equipment. The MIDI Fighter Twister comes complete with a hardware step sequencer designed for use with Traktor which turns the remix deck into a versatile drum machine. The MIDI Fighter Twister provides the perfect balance between a compact design and impressive functionality with each rotary knob acting as three controls as a rotary knob, a shift knob and a button. With its expansive functionality and ability to control a range of DAW's and virtual instruments, the MIDI Fighter Twister is the ideal controller for any digital musician. For more information on the DJ Tech Tools MIDI Fighter Twister please refer to the PDF above.